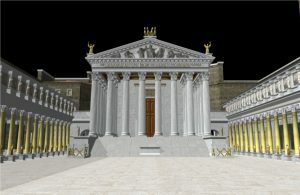 Explore Virtual Rome and learn more about the ambitious digital model through interactive 3D models, images and videos. This Temple to Mars the Avenger (Mars Ultor) stood at the end of Augustus’ Forum, reminding visitors of his defeat of the assassins of his adopted father, Julius Caesar. Forum Augustum inside portico’alt=’The emperor Augustus built this splendid Forum to celebrate his new regime’s power, wealth, and lineage. The colourful marbles used came from across Rome's expanding empire. 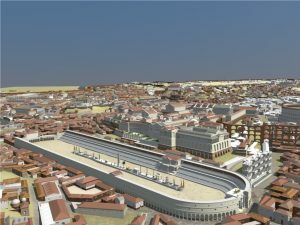 The Circus Maximus, Rome’s arena for chariot racing, could hold up to a quarter of a million spectators. 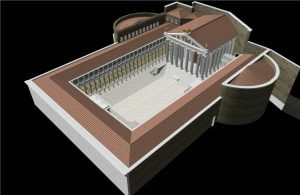 Here the reconstruction shows how the imperial palaces on the Palatine Hill loomed over it. The Campus Martius, the area of flat land in the loop of the River Tiber. Prominent monuments here include the Theatre of Pompey and the Pantheon. The emperor Augustus’ Forum stood alongside that begun by his adopted father, Julius Caesar. 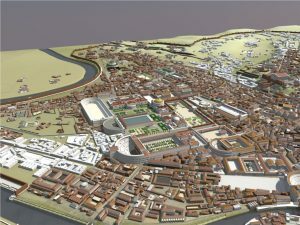 It marked an expansion and transformation of the political heart of ancient Rome into a monumental, imperial space. 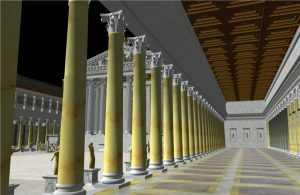 Colloquium on digital visualisation for education and academia – 16th May, University of Reading. All welcome! 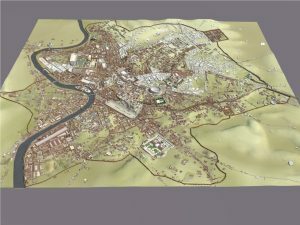 Buy posters of ancient Rome!